This time I will demonstrate the Aruba central provisioning process, to zero touch deploy switches and Aruba Instant AP’s. The process is using Aruba Activate as well. But let’s start at the beginning. Aruba Central is the cloud-based management solution from HPE Aruba. In the past, Aruba Central was used to manage Aruba Instant AP’s and the old Aruba MAS switches. Since this year, Aruba Central also includes support for the former HPE switches. As for many other cloud-based management systems, Aruba Central is licensed based on subscriptions and you pay only what you use. That’s for the marketing, let’s start with the geek stuff. 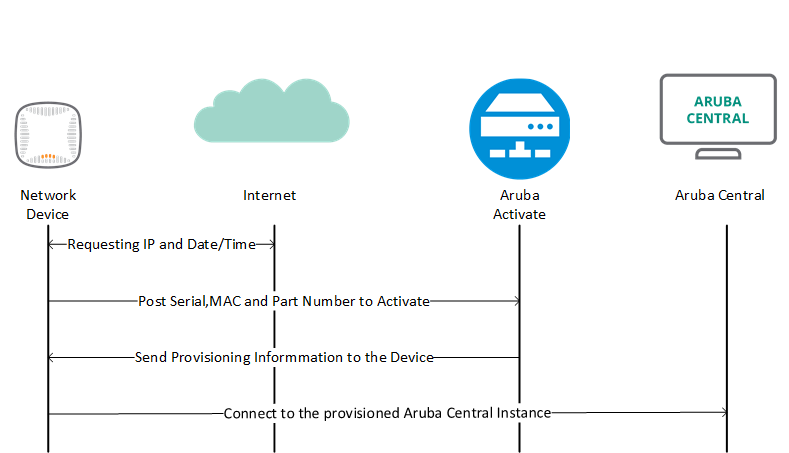 Aruba Central is distributed over the world and any new device, needs to know, which part of the system is responsible for the specific device. This task is done by Aruba Activate. Activate is a free tool to provision Aruba network devices. If you use Aruba Central, Activate is automatically included in the Aruba Central provisioning process. But you can also use Activate to direct your Aruba network equipment to on premise network management solutions like AirWave. The network device boots up and requests an IP address from the DHCP server. If the DHCP reply has a DNS server included the network device tries to get the current time and date from ntp.pool.org. 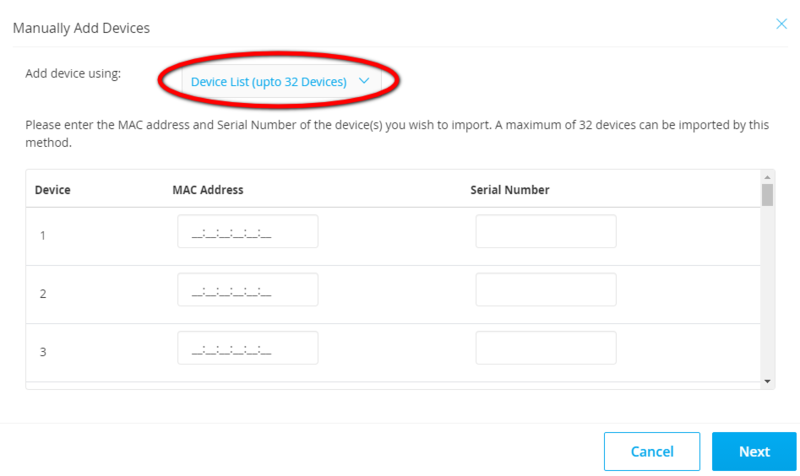 Afterwards, the device connects to https://device.arubanetworks.com and posts mac, serial number and part number to get provisioning information. 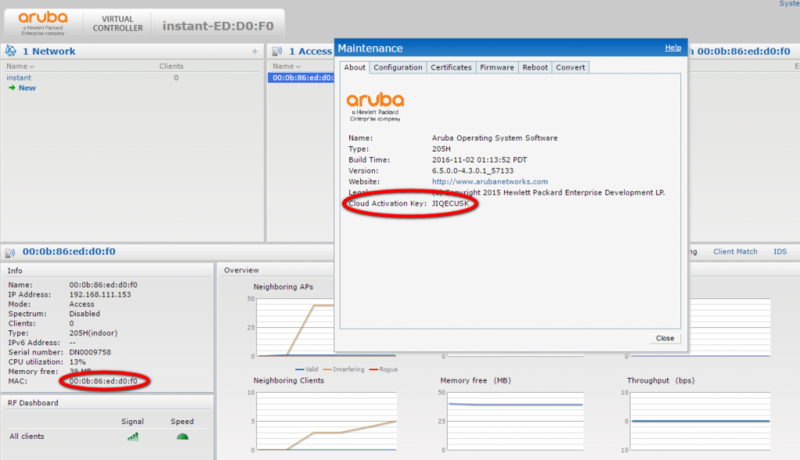 The provisioning information includes the server URL for the responsible Aruba Central instance. If you are interested in the process using the on premise management solution AirWave, please leave me a comment and I can cover this in a later post. The successful communication with Activate is indicated by Activation Key. This key is only present if the device successfully reaches Aruba Activate. The two information you need, are highlighted. Simply copy them in the correct fields on the page. You will get a summary screen and the devices are added to your central instance. You will get a summary screen after clicking next. The device is now added to your Aruba Central instance. There is also a third way, of adding devices. If you have an Activate account, you can arrange, that all orders will automatically send to your Activate account. To get all devices from Activate into Central simply enter your Activate account credentials, and all devices from Activate will be available in Aruba Central. The process for Aruba Instant AP’s is the same as for the switches, except, you need to select Access Points, instead of Switches. There for I will only show, how to get the information. Insert those information into Aruba Central and the Instant AP is also available in your instance. The device is now licensed and Activate is instructed to direct the device to your Aruba Central instance. If the device connects to Activate the next time, Activate includes that information in the response and the device should get online and is available within your instance. The switch is now configurable from Aruba Central. You are now able to configure the Aruba Instant AP from Aruba Central. 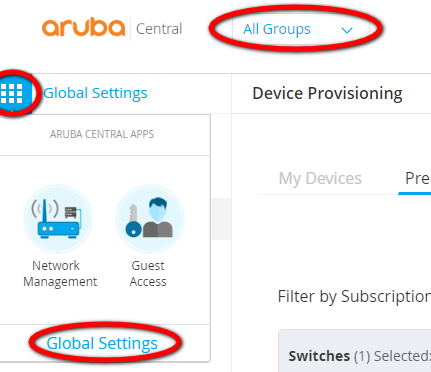 Through the whole Aruba Central provisioning, I did not touch the devices, except for showing you some additional information. If you have any questions please use the comment function below. If you would like to provide feedback please contact me or use the comment function as well.